Ritan360 Technologies / Business / Website Speed – Why is it Important to your business? Most times website speed can easily be overlooked by some website owners, but it’s the first thing your visitors notice. It is official: Google announced that speed will be a ranking factor. Not only are fast page speeds crucial to keeping customers and visitors happy, but they also help you rank better in search results too. The speed of your website is expedient to the end users. Imagine your experience accessing a slow website, things popping up in front of you with unpleasant mobile layout, videos loading and auto-playing. It’s just incredibly annoying and you tend to get frustrated and leave without plans to return, not just you but over 80 percent of the internet user will do the same. In an environment where just anyone can wake up and believe they can setup a website, we’ve reached a point where people are making such slow websites that it’s ruining the web experience. Unless you’re on broadband network like Swift4g, Smile, Spectranet etc., or others if you are not in Nigeria, and even if you are on broadband, it might take a little while to load. Test for yourself Gtmetrix or Pingdom. But what does that mean to your business as a website owner? 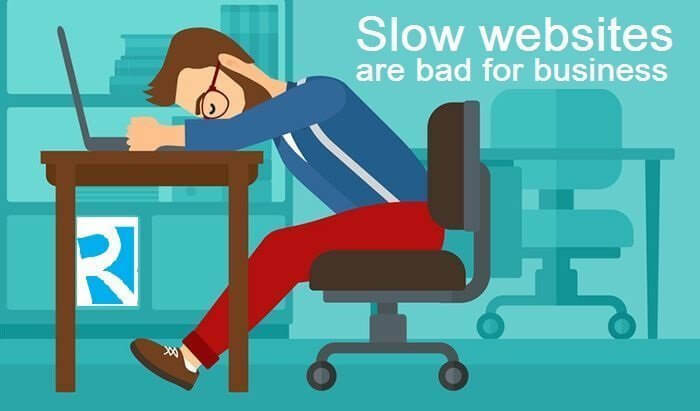 Its 2017, If your website is too slow, you probably should consider shutting it down; a slow website means that search engines can crawl fewer pages “or none” using their allocated crawl budget, and this could negatively affect your indexation, SEO, users experience and most importantly sales. There’s no beating around the bush anymore: No matter how you measure it, a faster page speed is better. Many people have found that faster pages both rank and convert better. You should work on making your website as fast and accessible as possible. Don’t wait, do it now.